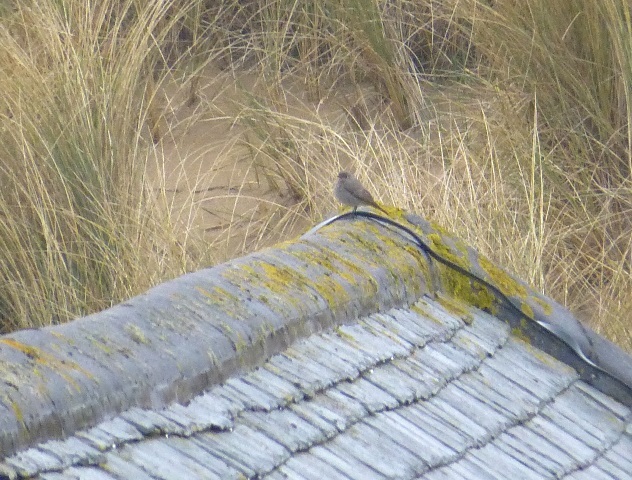 Female Black Redstart around the office (Ainsdale Discovery Centre) now. UPDATE: Got a chance to have another look at the bird at lunchtime – it was still feeding behind the skipyard, flycatching from Sea Buckthorn stems in the rain at 1.30pm. 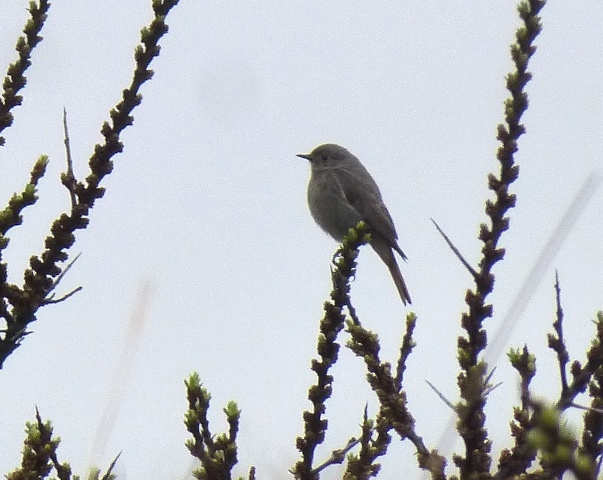 Willow Warbler, Goldcrests, Goldfinches and Mipits also joining the Stonechats in the rain – quite the little fall… and a Swallow south earlier. Is it still there? I have never seen one and will come down to see it of it is still there. I failed to get down there today due to a mini home emergency so i will try tomorrow. Still there at 5pm Jack. Caught this bird entirely by accident this morning when returning from a walk on the beach with the dog (flock of eight scoters really close in, just behind the breaking waves as the tide receded). 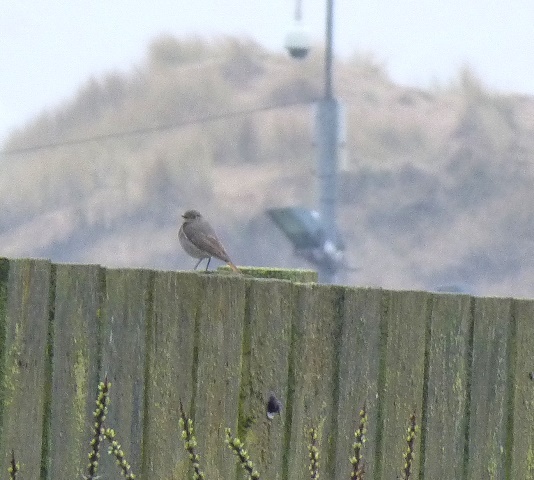 Bumped into a black redstart mini-twitch by the discovery centre. Nice. Heard you gathering the troops before your walk this morning John; hope it went well despite the “dismalality”. There was much dismality on the walk Tony, but there will be better days, and you can’t argue with a nice Black Red.